You would think this post might have something to do with turkey, but you would be wrong. 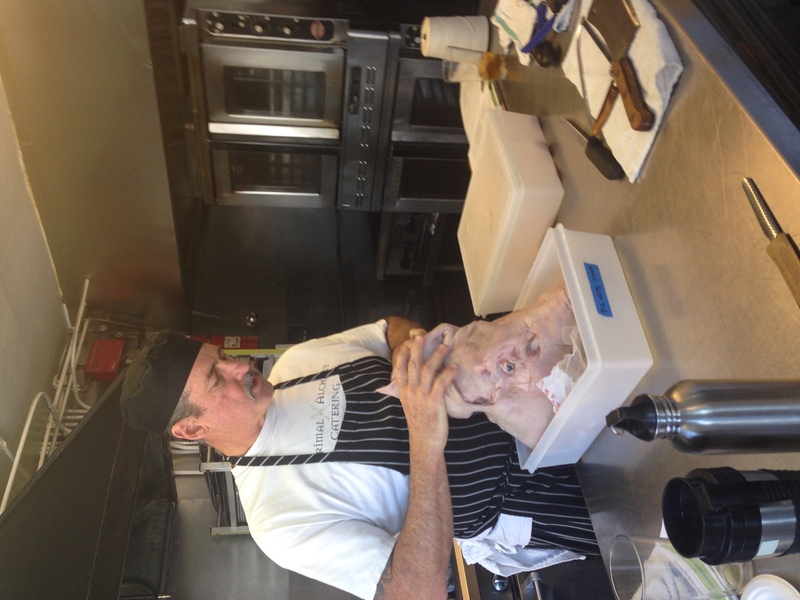 Pork is the topic of the day. 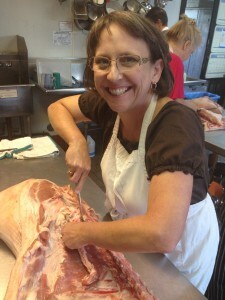 I was able to attend a class on butchering on this Sunday before Thanksgiving. 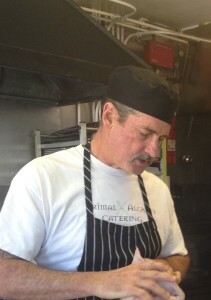 Chef Paul Buchanan of Primal Alchemy Catering taught us how to do seam butchering using pastured pork from Cook Pigs. 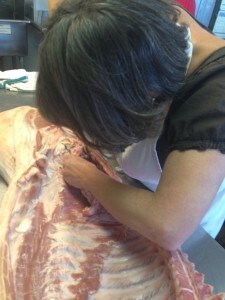 We learned how take apart an entire side of pork using just a good, sharp knife. 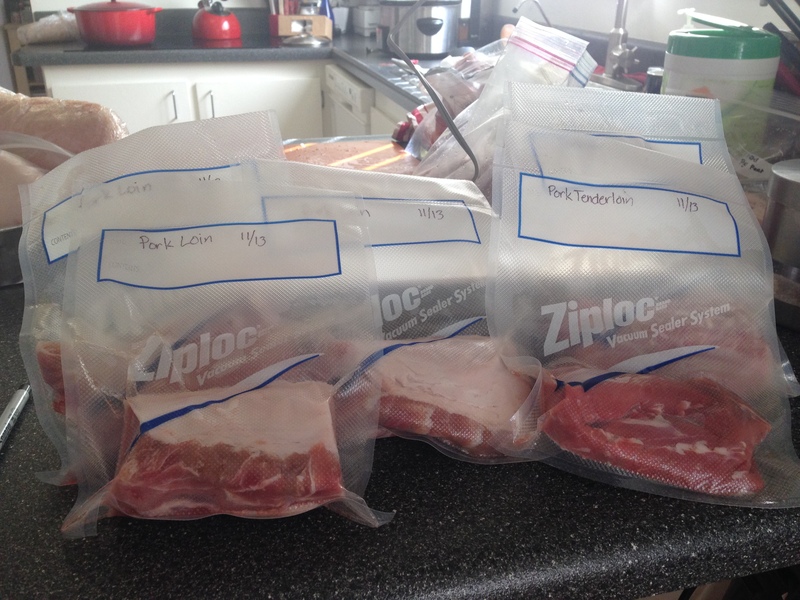 I brought home the bacon, and the loin, tenderloin, hams, shoulder, feet, and all. 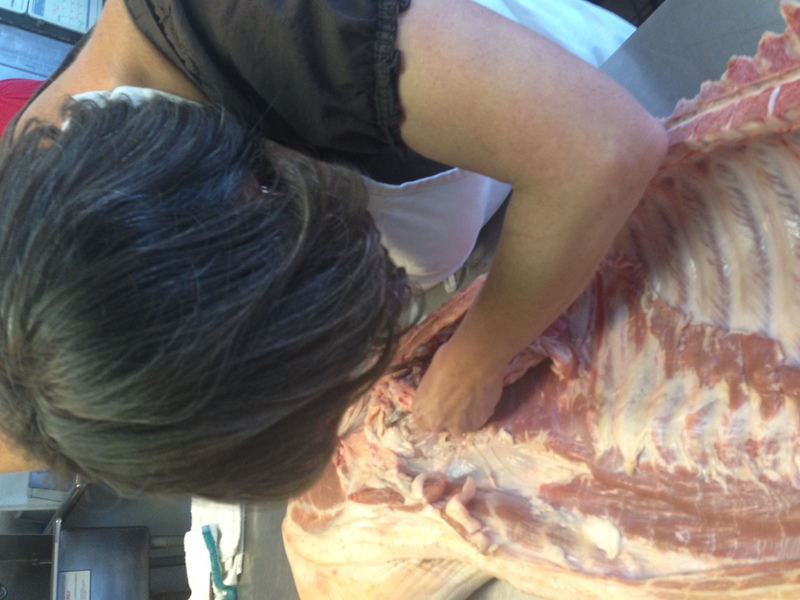 At home I had to further break down the back leg, or ham, into smaller more manageable cuts for a home kitchen. 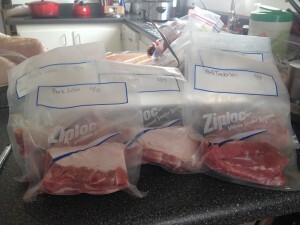 All of the meat now resides in our new chest freezer in vacuum sealed packages. 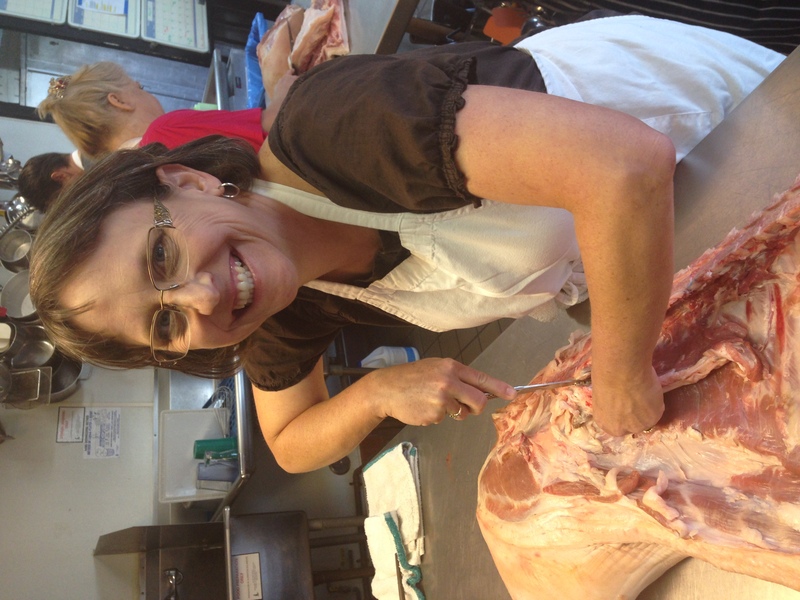 Sausage making is still ahead on the schedule!